I’m going to broach a controversial and sensitive topic. We live in a culture today that reveres doctors and the medical industry. 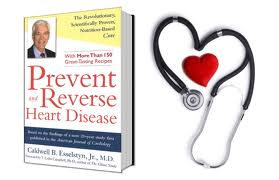 They are the unquestioned source to go to when one comes down with cancer, diabetes or heart disease. So I want to help you make an educated decision on how to evaluate where to go and whom to go to when finding yourself sick and unwell. First, let me say that there are some amazing things that the medical industry has done in advancing trauma care when someone is critically injured whether due to a car accident, job injury, criminal assault or anything else that can cause physical trauma. They are able to sew limbs back on and help people to have a chance to live again whereas back a 100 years ago they might have bled out or been permanently disabled. That said, the focus I am going to take today is on chronic and acute diseases such as colds, flus, diabetes, heart diseases, allergies, autoimmune diseases, cancer and illnesses such as those. Then I’m going to go a step farther and ask you: as January 1st rolls around this week, who are you going to go to for fitness and weight loss advice and if it’s someone other than your doctor, why? And, even more important: Is your own personal physician and their staff healthy? Are they at a healthy weight? Or rather, do they suffer from the same diseases and unhealthy weight that you do? And, if so, how do you feel about that? Do you find that comforting and safe, feeling that they can empathize with you and thus you aren’t intimidated by them, or does it leave you with a feeling of hopelessness and thus you believe them when they tell you you must live with certain diseases since you reason that if they have them then obviously there isn’t a cure since the medical industry is the only source of health information that is accurate or so they say? These are really important questions to ask since many people see an unhealthy medical staff and just feel that those who are healthy and disease free in the fitness industry just got that way from genetics or due to their youth and you imagine that it’s just a matter of time that they might be “struck” mysteriously some day with the same diseases everyone else gets. However, there is a growing group of doctors and nurses who are beginning to follow and teach the connection between disease and nutrition and are helping patients actually get off of insulin and blood pressure meds and reverse heart disease. 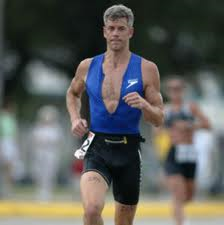 They themselves are healthy examples of fitness and good aging such as Dr. Caldwell Esselstyn who was a surgeon at Cleveland Medical Clinic in Ohio who recently turned eighty years old and still rides his bike. 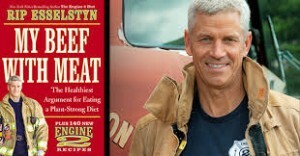 He uses nutrition to reverse heart disease and says it affects many other diseases as well. 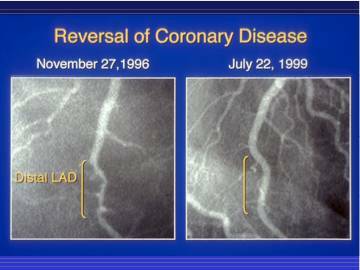 He’s done a 20-year project using 18 current heart patients who all had no further heart attacks under his dietary treatment. His son is Rip Esselstyn is a fire fighter in Texas who uses a plant-based diet with his fellow fire fighters to help keep their cholesterol in healthy ranges and who used to be a professional triathlete. Firefighters are the first responders to a house or place of employment when someone has had a heart attack. Rip has seen first-hand the devastation that results from a poor diet and that’s why he wrote his book ‘The Engine 2 Diet” and has Engine 2 Diet approved foods that are sold at Whole Foods. It’s time to start asking more from medical professionals with regards to their nutritional knowledge and personal fitness levels. Separating the two simply isn’t working anymore and pills don’t create health. They should be a last resort or given in emergency situations as temporary measures until nutritional measures can take affect which surprisingly often can occur in as soon as a week in heart and diabetes patients. My father has Multiple Sclerosis. I used to be a personal trainer and worked in a health club as an aerobics instructor. As a job requirement, I had to get certified in CPR every year. My dad started complaining of shortness of breath and chest pains. Those are classic symptoms of an impending heart attack. I took him to his doctor and he was scheduled for a test by a skeptical doctor who thought these symptoms were caused by his neurological disease. Since his doctor did not have a sense of urgency, my father canceled the test. He subsequently had his first of several (and by several I mean he’s had seven that I know of perhaps even more) heart attacks the next week. So here I was in the fitness industry and no medical back ground and I was able to see that my father was going to have a heart attack and yet his doctor did not see this coming. I also had the answer to my father’s problem (diet) but he wouldn’t listen to me about that either. Why? Because at no time was changing his diet mentioned by any of his doctors. My father is confined to a wheelchair and was eating a rich diet of chocolates, steaks, shrimp, lobster and sweets and nobody ever mentioned changing his diet or even inquired about his diet. Now, most people reading this might shrug that off as just the way things go and that his time was up and that I should just accept it. However, after having just lost my mother, I was not ready as an only child to lose my father so soon as well. 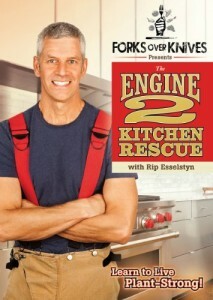 So I called Dr. Esselstyn who then actually called my dad. Sadly, my father wouldn’t listen. Again, because he was getting conflicting advice from his personal doctors he was frozen into not taking decisive action because he was not getting a consistent message about what changes he needed to make from the medical community. While taking him to various doctor’s appointments, the nurses and doctors were often overweight and very unhealthy-looking. They clearly didn’t know how to help even themselves due to what they had been taught in medical school–or rather what they weren’t taught. 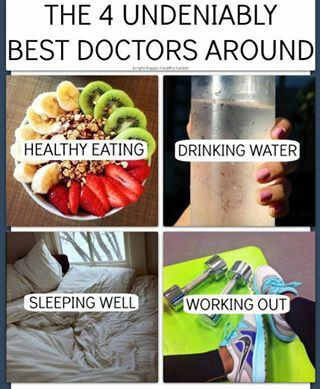 What people don’t know is that most doctors have AT BEST only eight hours of nutritional training and at worst ZERO. And who sets these curriculums and decides what gets taught at the medical schools? Well, big Pharma has a say in what gets taught as they often make donations to these institutions to keep them going. That brings us back to the public that needs to be educated themselves and for us to stop separating health and fitness from the medical industry. They are one and the same unless there is a physical trauma of some sort like an auto accident. Even then, good nutrition helps a speedier recovery and physical therapists are used to regain mobility so even there there is an overlap. Pills do not make you healthy. 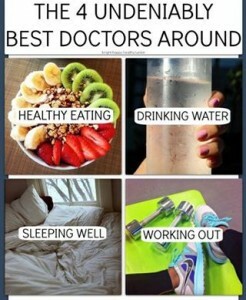 Good nutrition, exercise and stress management do. 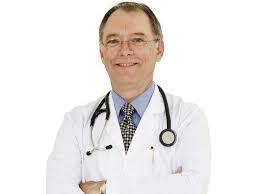 Many diseases that puzzle doctors can in fact be treated and in many cases reversed with a healthy diet. 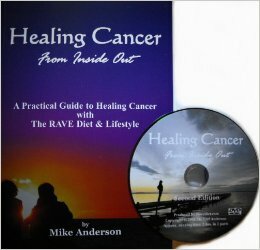 I just recently rewatched Mike Anderson’s DVD “Healing Cancer from the Inside Out”. 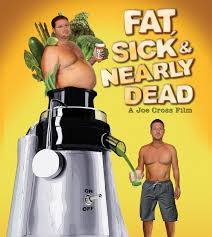 Many of the interviewees in the DVD including some medical and alternative doctors mentioned that we need to stop “giving ourselves cancer” by the activities that we do such as eating animal products and consuming vegetable oils. T. Colin Campbell mentioned that the Japanese have higher smoking rates than Americans do and yet they have lower incidences of lung cancers due to their low animal protein diet and high vegetable consumption intake. 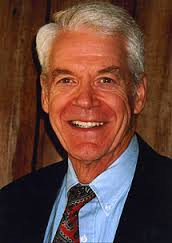 His book The China Study showed that lab rats fed protein from diary (casein) as 20% of calories had cancer tumors that grew whereas the tumors shrunk when the protein was only 5% of calories. 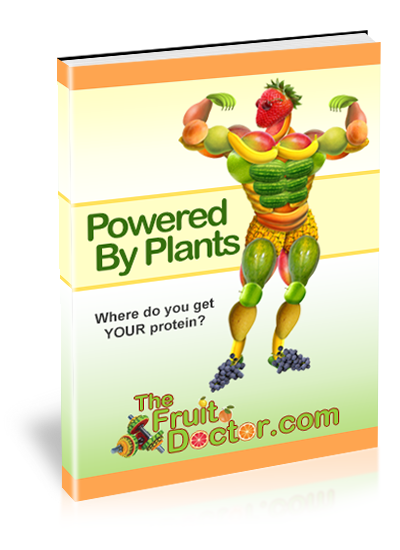 Tumors did not grow when the protein source was from plant sources. Many people have gone on the Gerson therapy when in the late stages of cancer and survived and are thriving today. Dr. Gerson used a low-fat plant-based diet with lots of fresh juices, supplementation and coffee enemas. There is a couple of Australians, Janette and Alan who are 63 and 68 respectively, who are about to finish a year-long project to bring awareness of the healing power of a raw plant-based diet. Janette developed breast cancer and went on a raw vegan diet and is now cancer-free and didn’t do chemo or radiation. She and Alan are about to finish a historic world record this Wednesday: they have been running a marathon a day, every day, for a full year and will be done this week. All while eating just fruits, vegetables, nuts and seeds. Cancer free. Janette wrote a book called “Raw Can Cure Cancer” to share with others how she did it. I don’t want to give the impression that every single person will be “cured” if they currently are ill and start these programs. A lot depends on how soon you catch the disease and how strict you follow the program. My point however is 1) there IS hope and that many have in fact been able to reverse these without invasive and expensive medical means and that 2) we need to stop looking at pills and surgeries as the ONLY answers and to view them as last resorts after we have tried nutritional means that include removing animal foods from our diets and increasing exercise. Dr. Joel Fuhrman talks about the importance of getting our micro nutrients like minerals and phyto chemicals and anti-oxidants from fruits and vegetables and was the doctor who supervised Joe Cross’s juice fast in “Fat, Sick and Nearly Dead” where both Joe and Phil Staples reversed their chronic skin condition and obesity that doctors only had pills for. 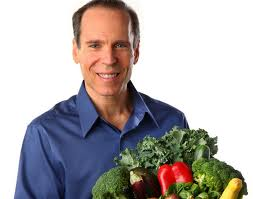 Dr. Joel Fuhrman below is age 60 and uses nutrient-dense foods to heal his patients. As we approach yet another year, let us re-examine our sources of health information and who we go to for getting healthy. It’s important that they themselves are models of health and fitness and that nutrition is the foundation of their treatment protocol. If not, it’s time to find another source.